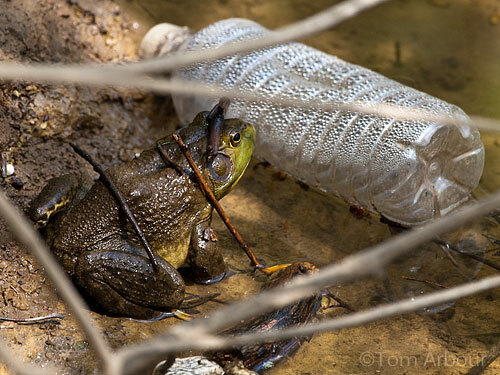 Bullfrogs and American Toads are the only anuran species I've found at Kenney Park. In a small stream like this, I would expect to see green frogs as well, but they just aren't around. The bullfrog is king. This is probably North America's most resilient frog species- they can eat just about anything and they have even been introduced to areas of the country and are now considered invasive in those places. Lana- This one was about as big as they've get along the Olentangy.